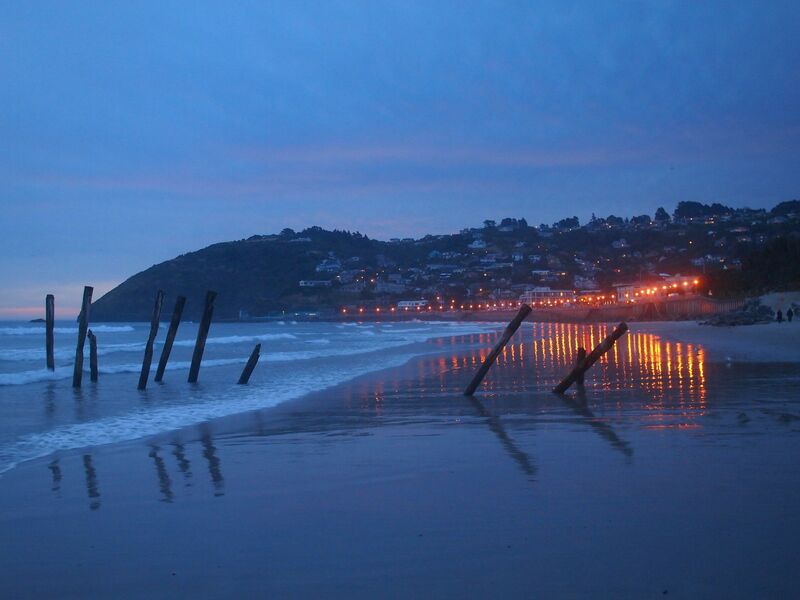 This 2nd photograph is also of St Clair beach, Dunedin, Otago, New Zealand, taken by Nigel and used by Liz for her blog Exploring Colour. As you can see I’ve reblogged your second poem Dami and what a wonderful bonus it is to have this one too! The reference to refugees made a big impression on me. I don’t imagine you could’ve had any idea that in April 2016 Dunedin accepted their first group of Syrian refugees and this was a big step for the city and really hit the news. Previously refugees have usually arrived at the big North Island cities and have gone through their settling-in period there. These old piles had made me think of the early settlers arriving on their ship and then being off-loaded onto the shore from the little boats that would ply to and fro between ship and shore. But your poem changed my vision and now I see careworn refugees arriving with hope in their hearts of building a new life in safety. Thank you for your poems because they are very perceptive and beautiful. When I saw the piles and the lights heading off inland in the distance a journey immediately came to mind, the struggle of those who survived, who carry the flames of the hope and the souls of the past; those who were left behind or lost on the journey, the hills we all have to climb and the oceans too many have to cross to seek refuge, I am so glad to hear how Dunedin opened its gates to welcome in a new hope. I think our global commonality is that we are all refugees looking for our place in the world, just some of us have it much easier and a more comfortable journey than others. Thanks to you and Nigel for inspiring me to think about the stories behind these beautiful photographs. You’ve given us so much more in return Dami, what you’ve written here is very wonderful, very precious. I think I’d like to publish the photo and our poems on my new blog as a special feature, and include what you’ve written above, along with your poem.. is that ok by you? Oh GOOD.. since I sent the message I’ve got the page drafted up. Thank you for your kind words.. hugs back from kiwiland! Not so summery here now – rained all last night and cold today!! Early autumn on the cards I think! I’m glad to hear it appears you got off lightly!